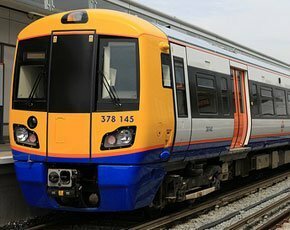 London Overground has announced passengers are to get an hour's free internet access with Wi-Fi hotspots at all 56 stations on the network. The first 12 will be installed at stations across the network by the end of the year. They will be operated by BskyB-owned public Wi-Fi provider, The Cloud, according to the Telegraph. The announcement comes two weeks after the news that London Underground passengers will be able to tap into Wi-Fi networks operated by Virgin Media at 80 of the 217 tube stations within a few months, rising to 127 stations by the end of the year. "People’s expectation is to be able to work and communicate effectively and seamlessly while they’re on the move so we’re delighted to support this initiative," said Steve Murphy, managing director of London Overground Rail Operations. Users will need to register once to access the service, which will remain free to use. By contrast, the London Underground service will be free initially, but will eventually become pay-as-you-go. The first London Overground stations to get Wi-Fi hotspots are: Willesden Junction, West Hampstead, New Cross Gate, Forest Hill, West Croydon, Norwood Junction, Surrey Quays, Dalston, Wapping, Hackney Central, Kensington Olympia and Shepherd’s Bush.